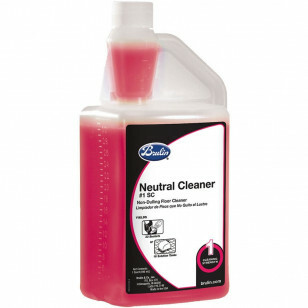 This non-dulling rinse-free neutral cleaner is a super concentrate. That means, you only need a single ounce per 5 gallon bucket. This low foaming, rinse-free, neutral cleaner is formulated to effectively clean hard floor surfaces without marring the finish gloss. Take a look at our floor buffer cleaning solutions, for more aggressive solutions. It may be used in an autoscrubber or in damp mop procedures. 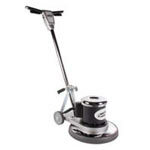 Also for use in spray and wipe applications for cleaning hard surfaces. Each 1/2 gallon of Neutral Cleaner - #1 will yield 256 gallons (or 1028 quarts) of ready-to-use cleaner (at 1:512 dilution rate).